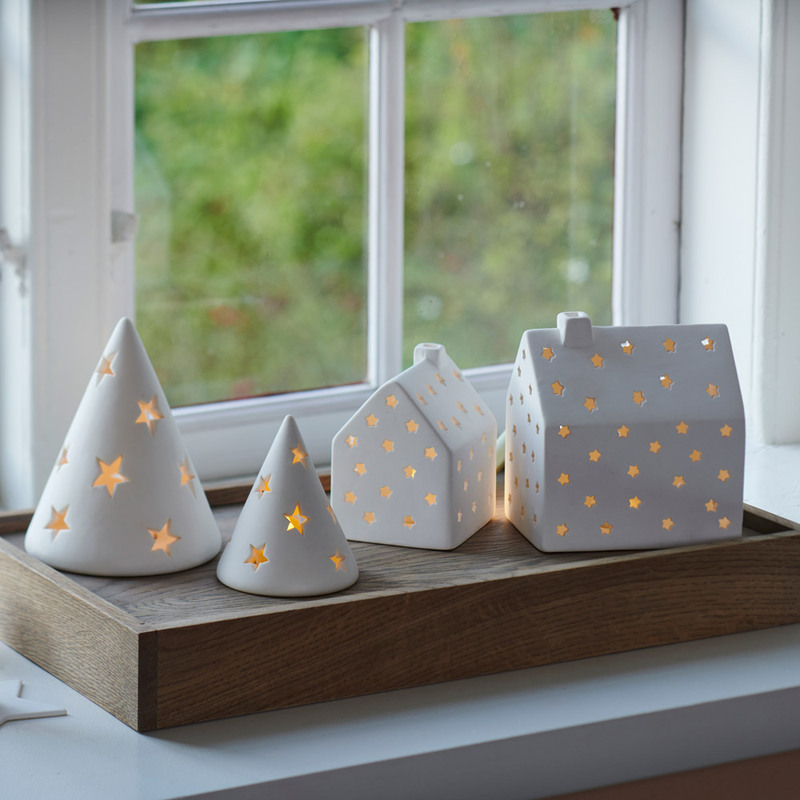 The Janet series of Sirius contains ceramic houses and cones with led lights. Let the Christmas house with small stars sparkle in your window sill – by itself or together with other ceramic ornaments from the Janet series. The Sirius house has a built in timer function and will turn off automaticly after 6 hours. After 18 hours, the product will turn on again, and so it continues, if you do not use “off” button. You can supply with a Sirius Remote Control that fits a huge selection of Sirius glass decorations and LED candles. (the remote control is not included, it can be bought seperatly). The decoration comes in a beautiful Sirius gift box. Inclusive 2 x 1 CR2032 batteries.